This Tortilla Chip Soup is a simple vegetarian dish that goes a long way. Angela Griffin is my best friend. I adore her and everything she is. She loves food and cooking, and she and her husband Jasee make the most delicious dinners so I love going round to their house. 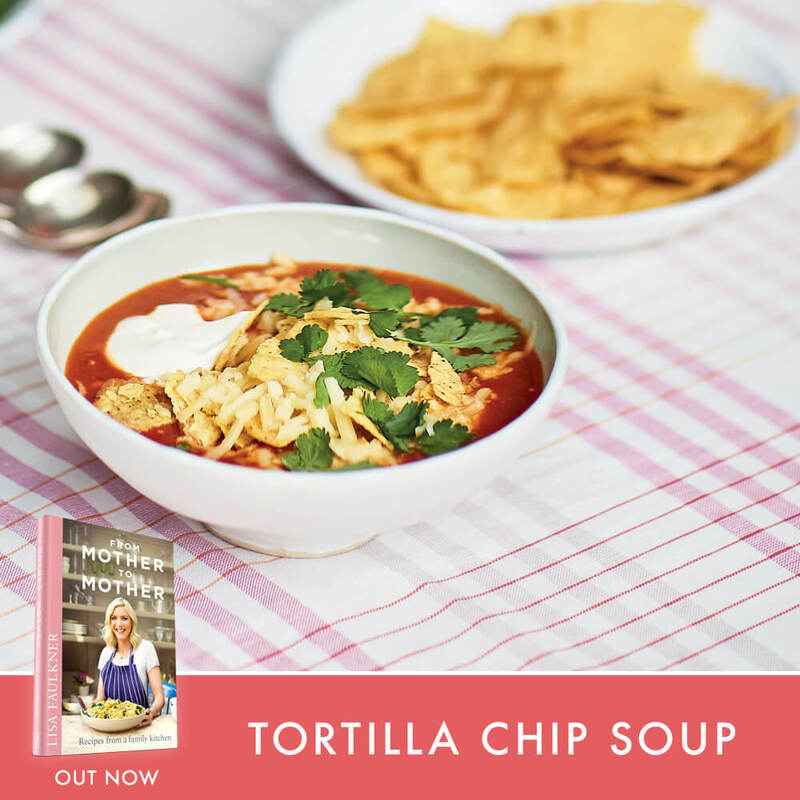 They like to do meat-free Mondays and on one occasion she came up with this soup, which is basically a meal in a bowl as the tortilla chips thicken it. Heat the oil in a large pan over a low heat, add the onion and soften slowly for about 10 minutes until lovely and sweet. Add the garlic and cook for another 3–4 minutes until soft, then add the chipotle paste and a splash of stock and heat through. Add the tomatoes, sugar, oregano, a handful of tortilla chips and the remaining stock and cook for about 30 minutes, until thick and soupy. Using a stick blender or food processor, blitz the soup and transfer back to the pan. Add the sweetcorn and heat through. Spoon into large bowls, crushing some tortilla chips into each one and sprinkling with Cheddar cheese, coriander and a dollop of soured cream.